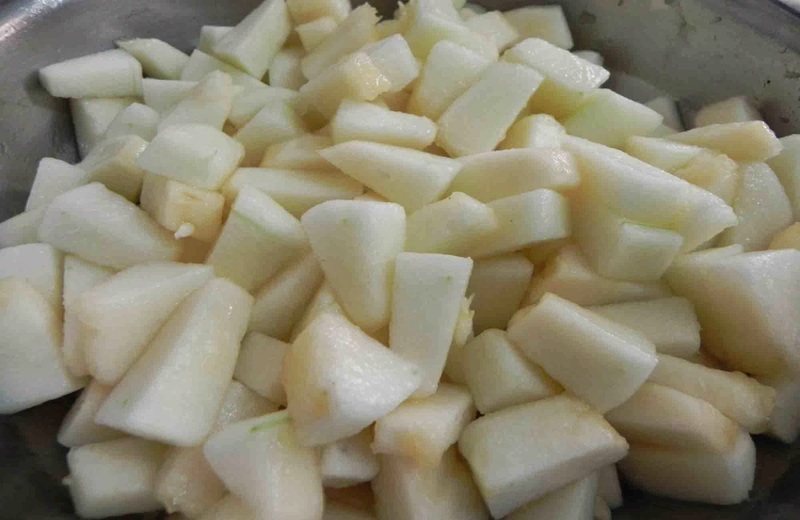 Chibbad is a kind of sweet melon. 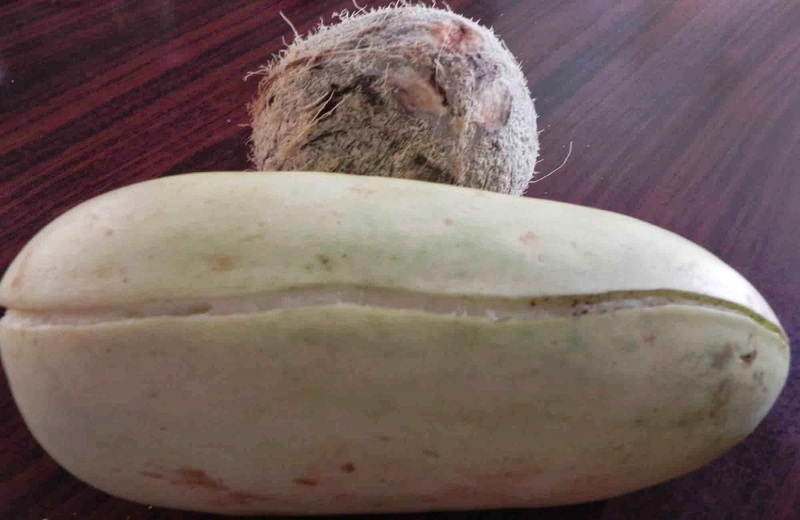 It is known as Karbooj in Hindi and Cantaloupe in English. 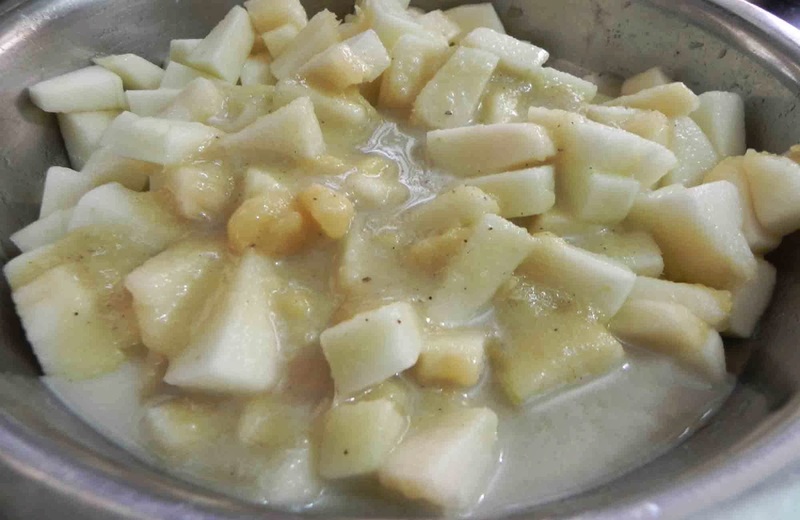 This fruit is a seasonal fruit and a good variety chibbad just dissolves in mouth and the flesh of it becomes like rava, This sweet dish is very famous in Konkani people. Wash poha in water and soak it for some time. 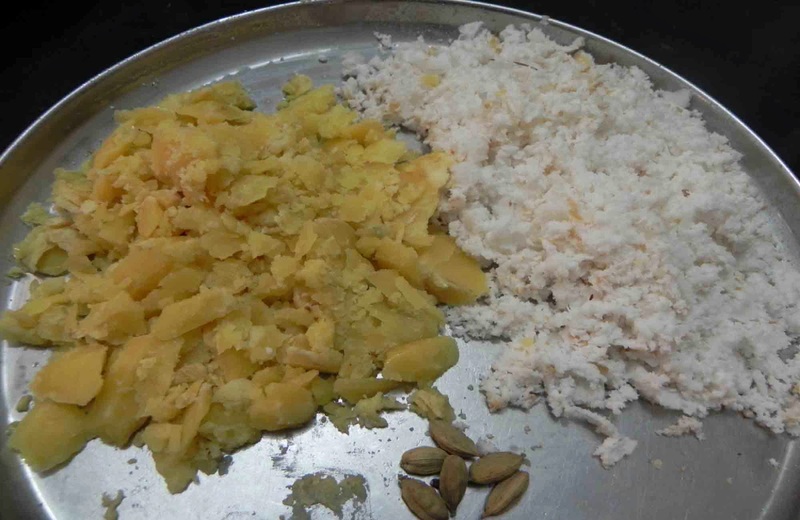 Grind grated coconut and jaggery to smooth paste. 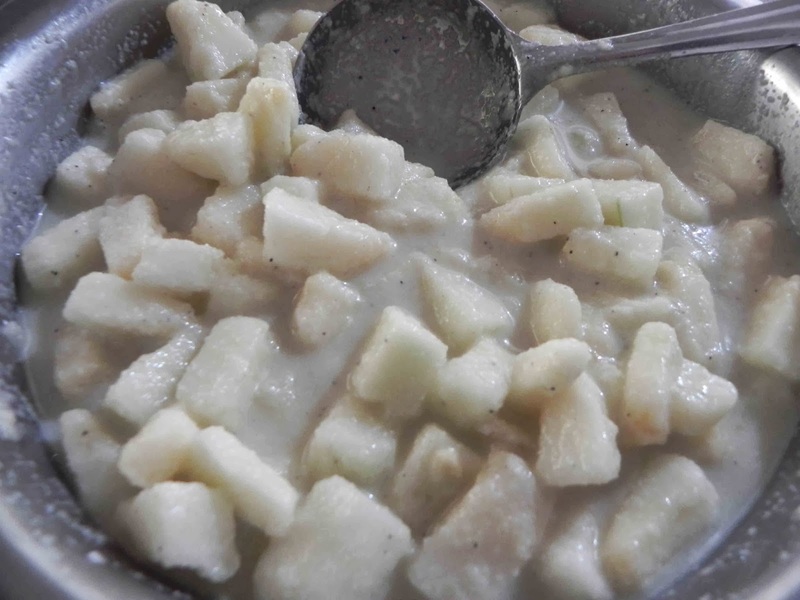 Now mix cubes of chibbad, the above prepared paste, cardmon and phovu. PS: The coconut to be used in this should be as tender as possible. The tender coconut makes this dish more tasty.